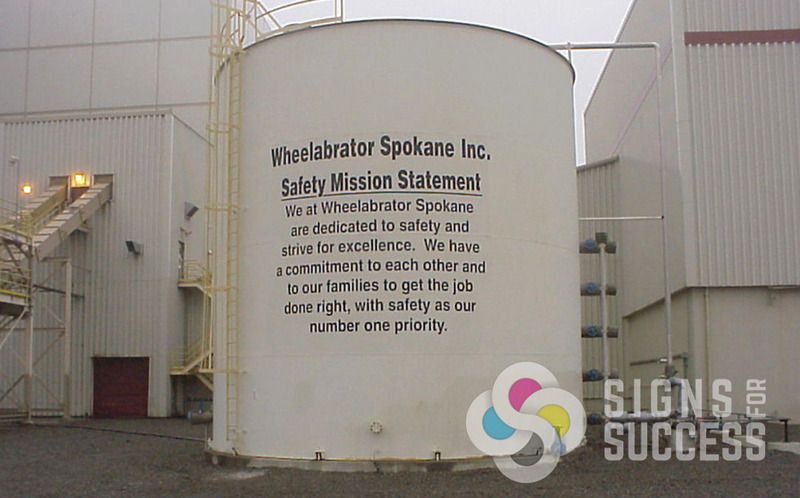 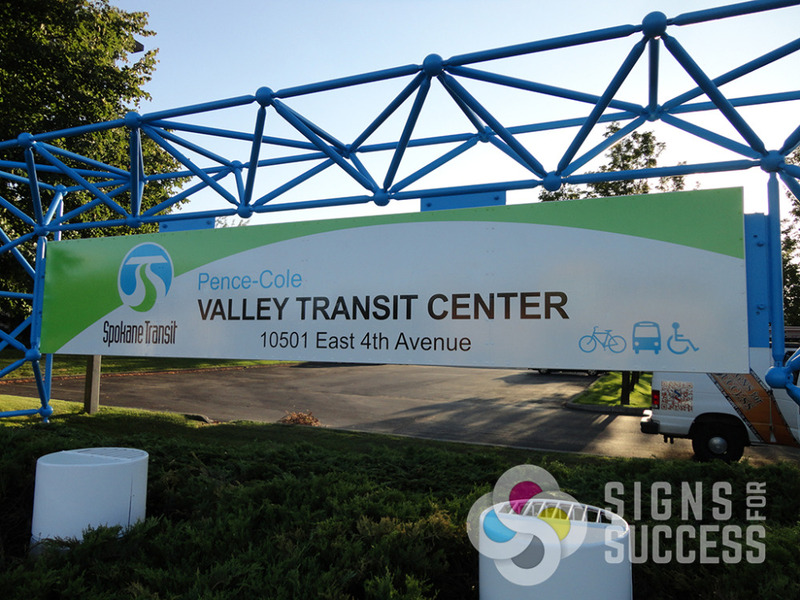 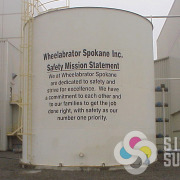 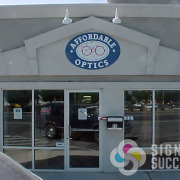 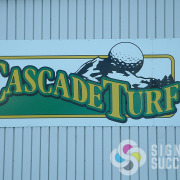 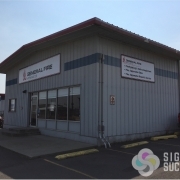 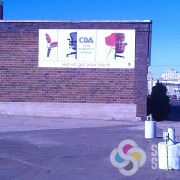 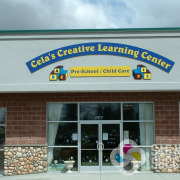 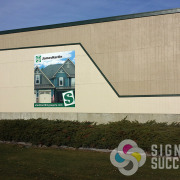 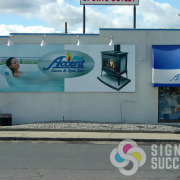 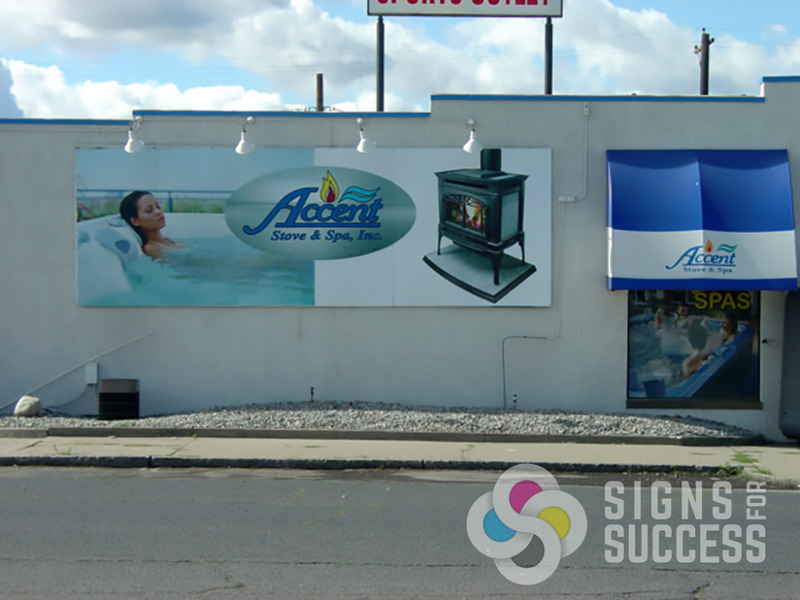 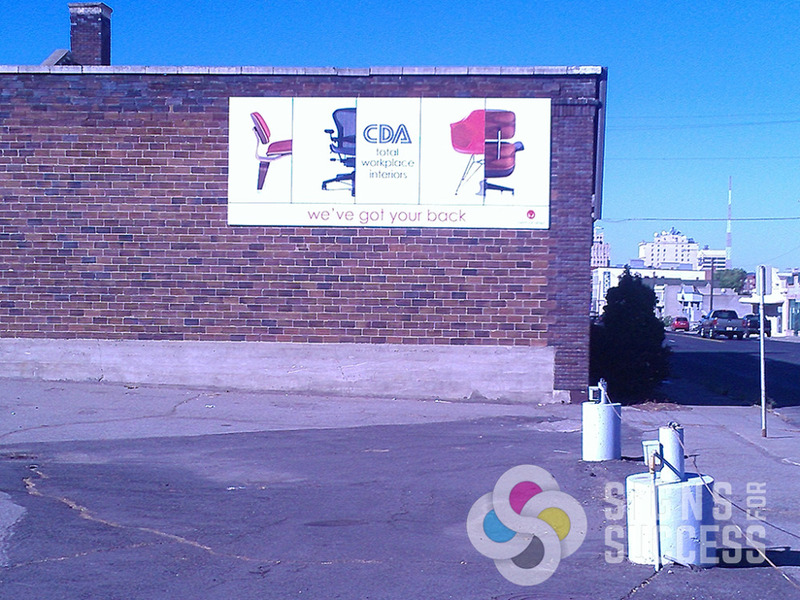 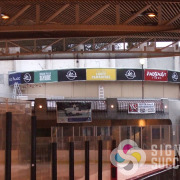 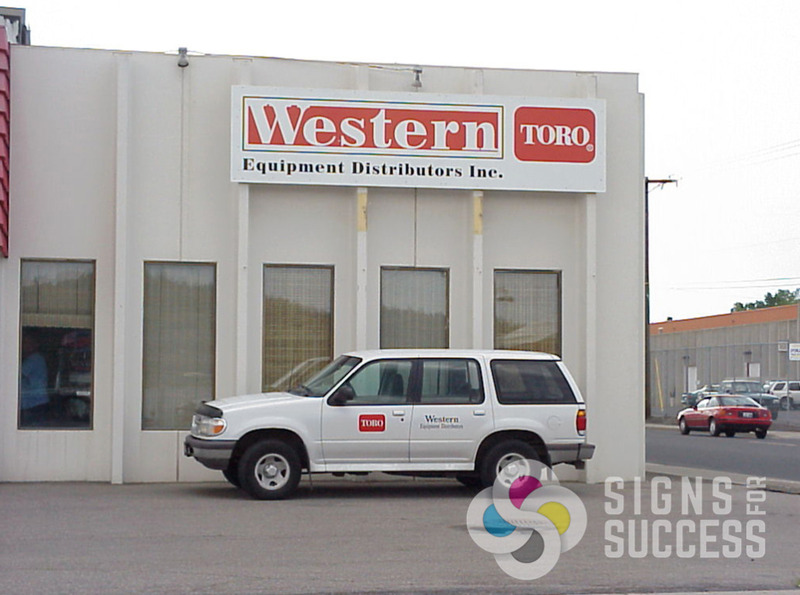 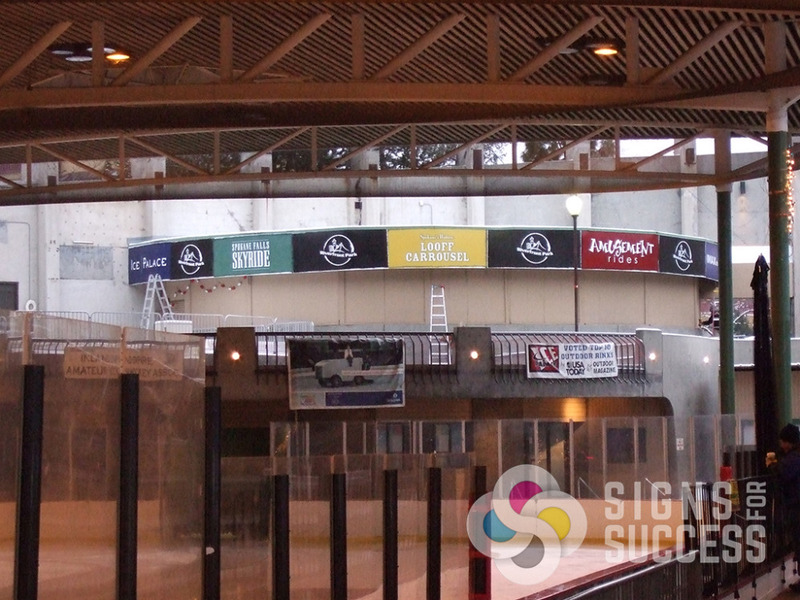 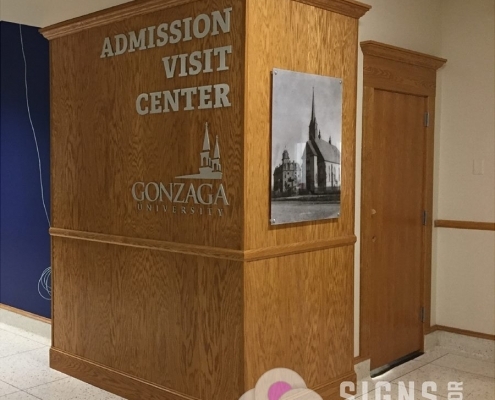 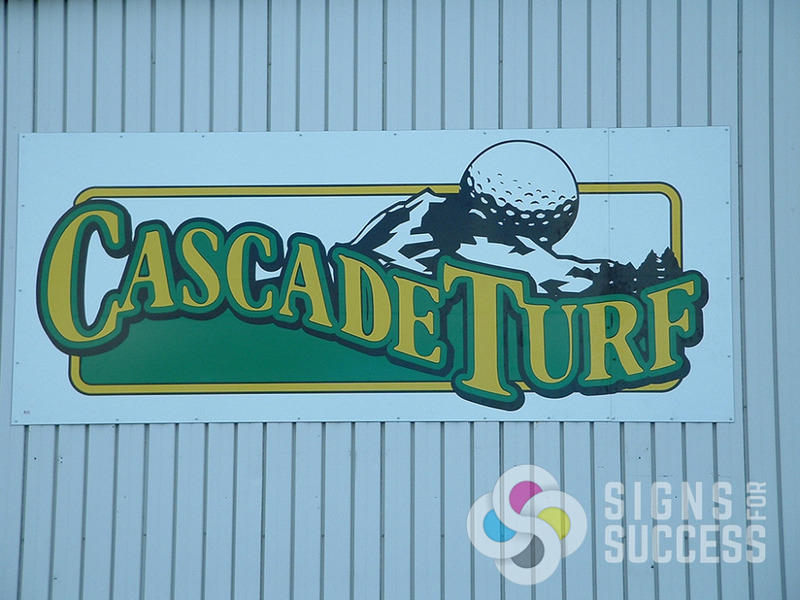 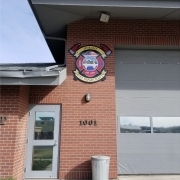 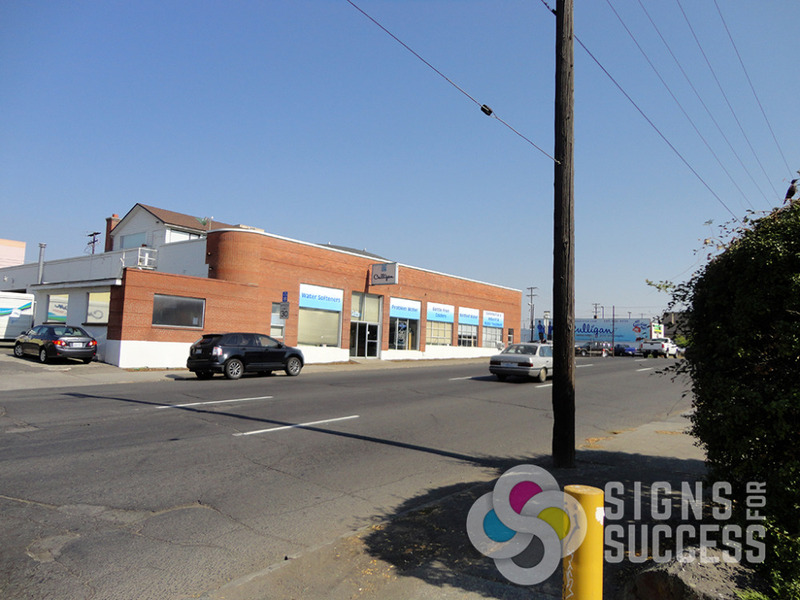 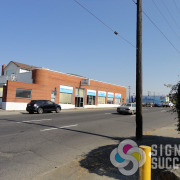 Wall signs are signs designed to mount directly to a fixed surface. 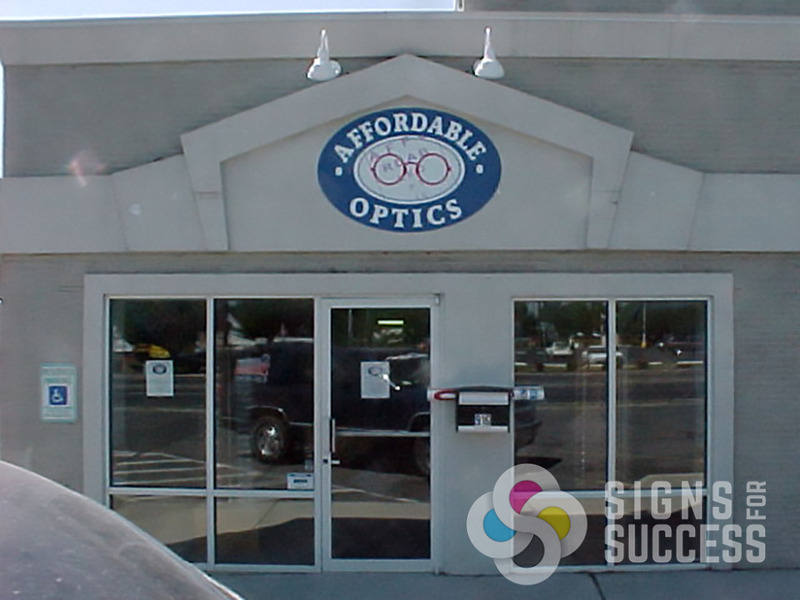 We can custom design and print almost any size on a variety of materials, based on your needs. 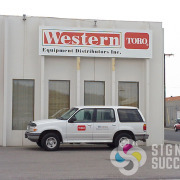 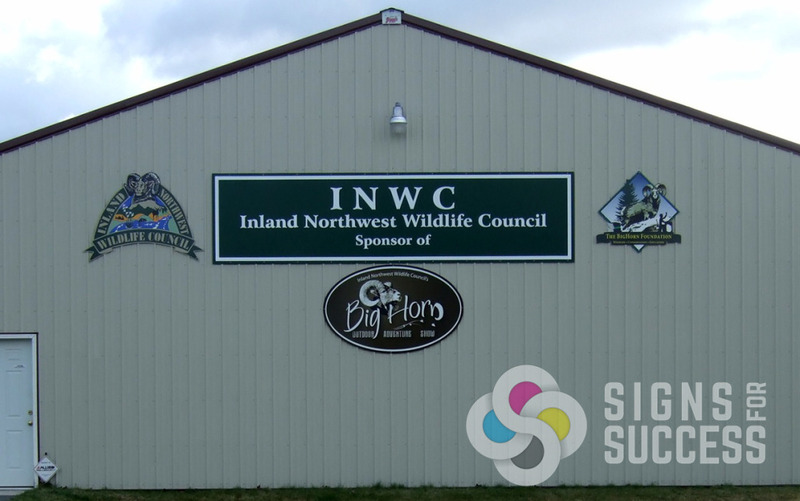 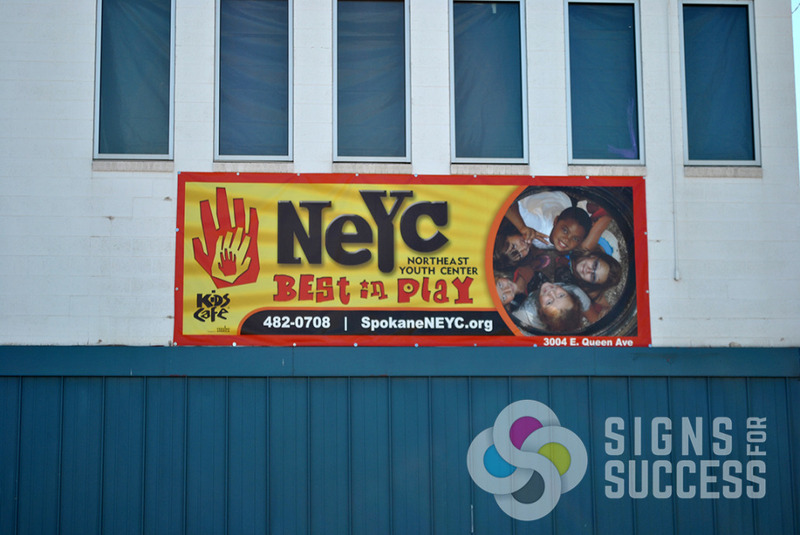 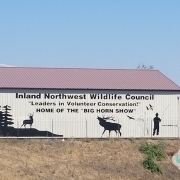 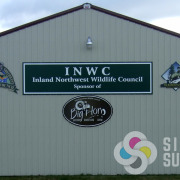 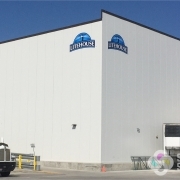 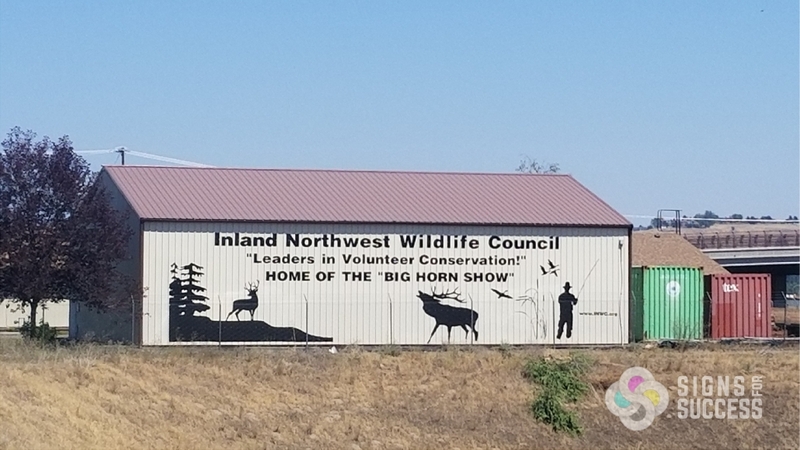 Common outdoor wall signs are made of Aluminum, Aluminum Composite Material (ACM commonly called Dibond), PVC, Acrylic, Plexiglass, Fiberglass Reinforced plywood (FRP) or MDO wood. 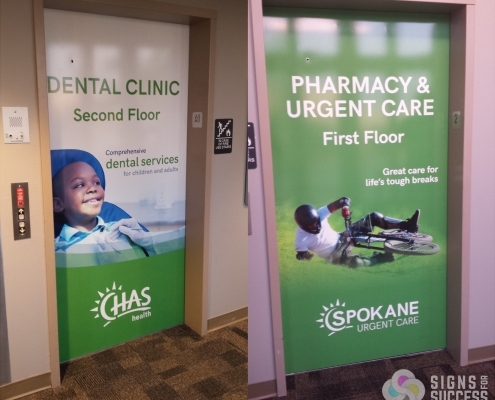 Those on a budget can use coro, corex, corrugated plastic, which will last a couple of years, but look good at very low price compared to more permanent wall signs. 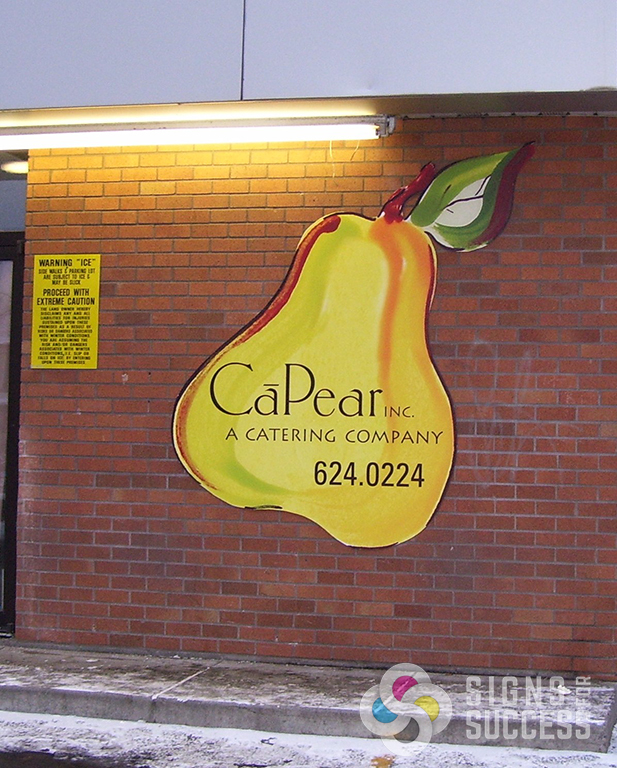 Because the elements are not an issue for indoor wall signs, the list of materials recommended for indoor signs is almost limitless. 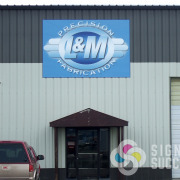 Click here to read more about the materials we print on. 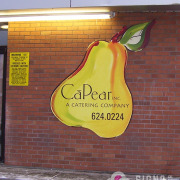 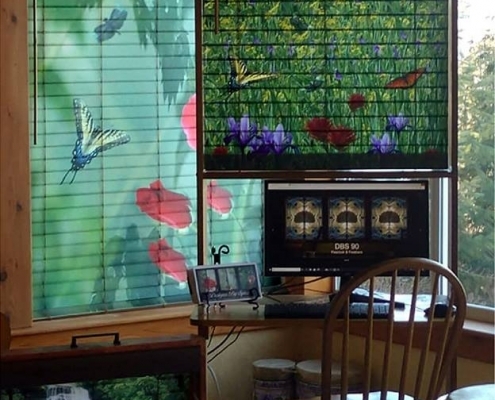 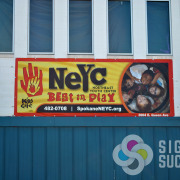 We can also digitally print on Self-Adhesive Vinyl (SAV), which will stick to smooth surfaces. 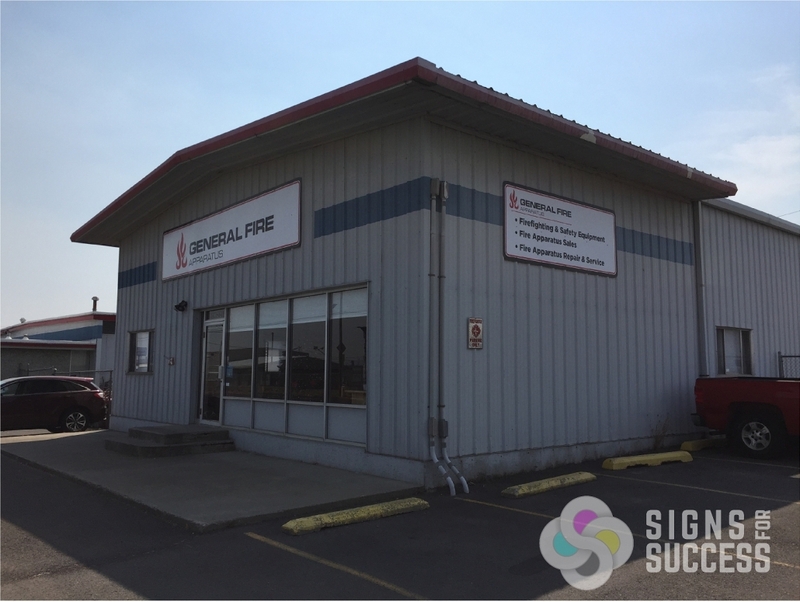 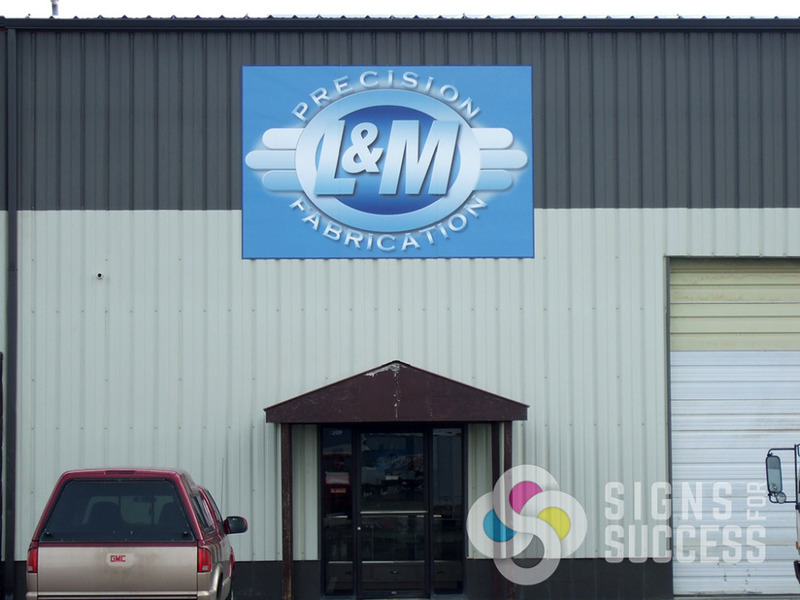 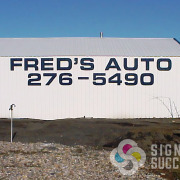 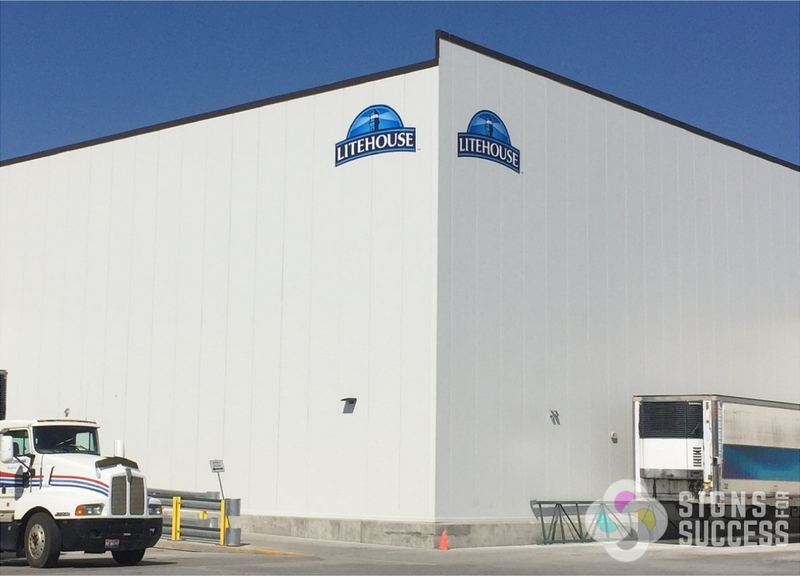 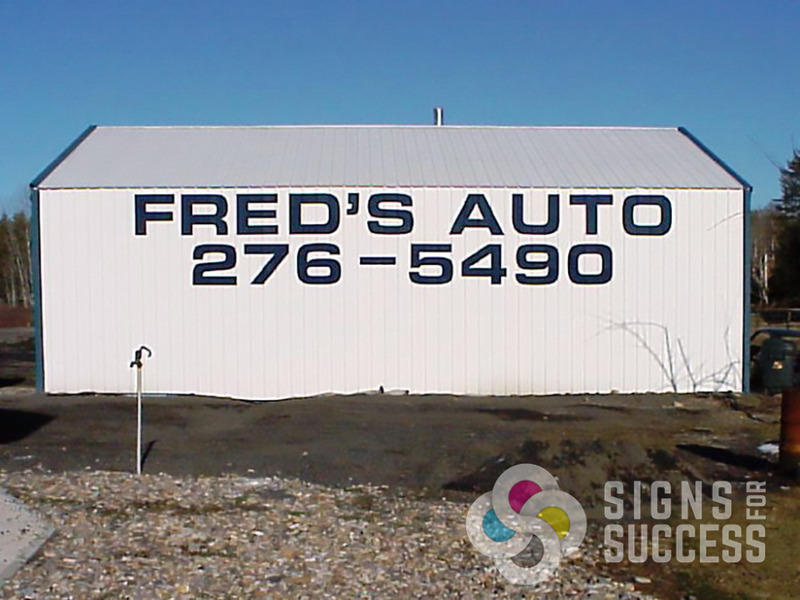 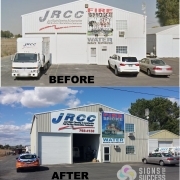 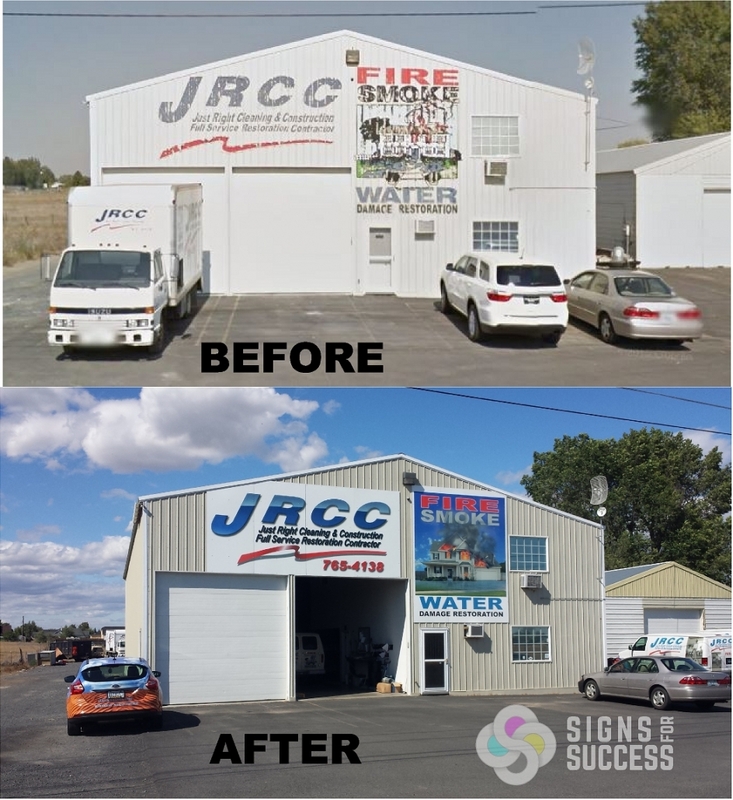 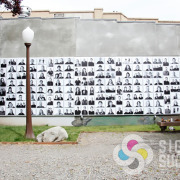 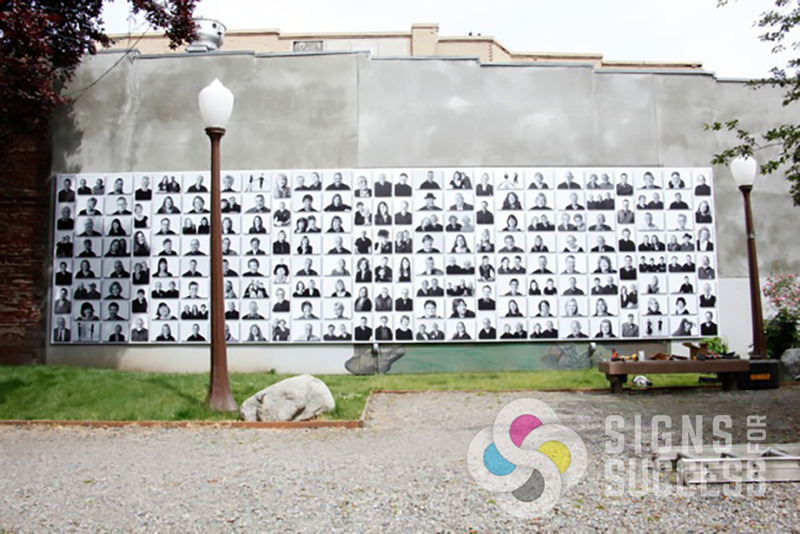 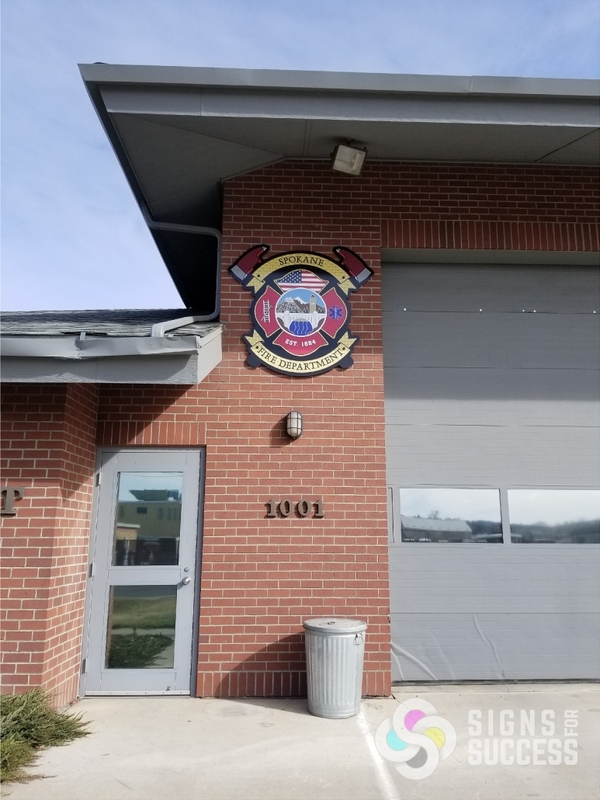 Our high performance vinyl, which is also used on vehicle graphics and wraps, can stick to many surfaces, and we even have an adhesive vinyl the adheres to more rough surfaces, like brick, giving a painted-on look that you will enjoy for several years. 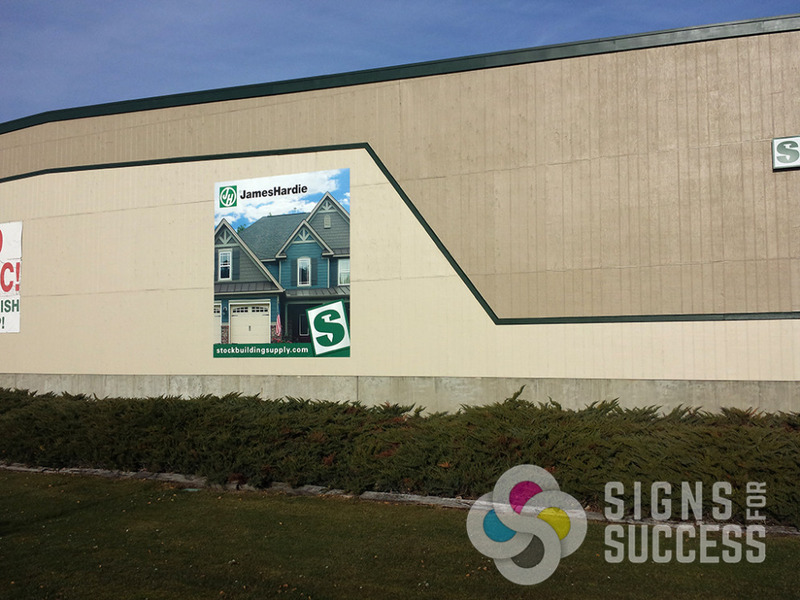 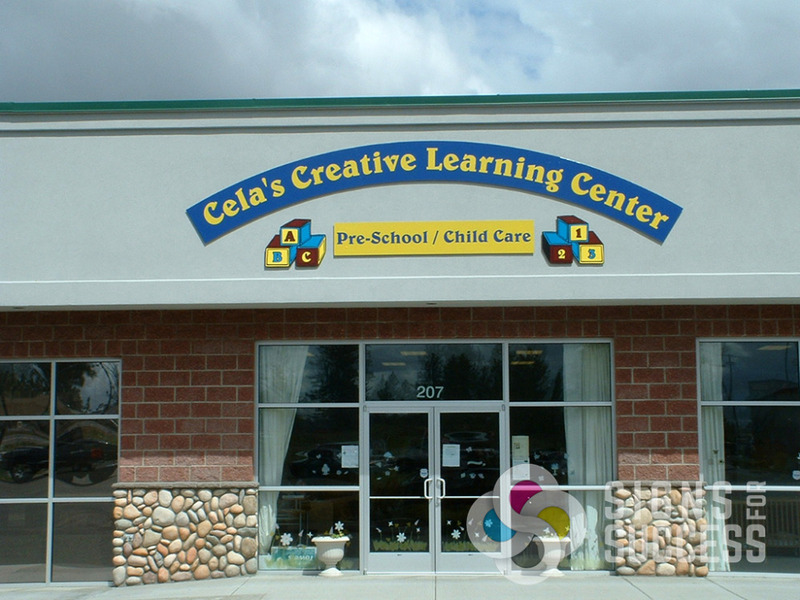 Whether you want a square cut wall sign or a shaped one, we can brainstorm your project and come up with the right answer for your needs.